Peace of mind when you travel in one of our Cleveland Airport Shuttles or Cleveland Airport Taxis to and from Cleveland Hopkins Airport. We are an experienced Cleveland Airport Shuttle & Taxi company who has been in the Cleveland Taxi & Airport Shuttle business for over 17 years. 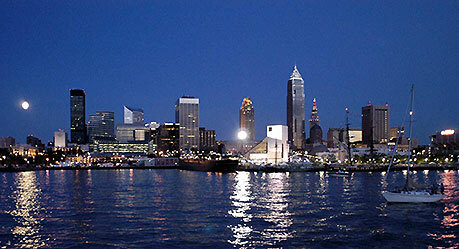 We are fully insured Cleveland Airport Taxi & Shuttle Co within the laws of Ohio. We have strived to achieve the level of excellence our customers deserve and expect When driving in one of our Cleveland Airport Taxis or Airport Shuttles. When you are traveling, whether it's for business or pleasure you already have enough on your mind to worry about. Things like where to park your car, how long it takes to get from the remote parking lot to your terminal, if you call a taxi will it even show up or knowing where the rental car return is. We take away those worries when you ride in one of our Cleveland Airport Shuttle or Cleveland Airport Taxis. On the way to achieving the level of excellent service we provide, we have made many friends along the way. We do our best to provide on-time service, courteous, professional drivers and the safest most expeditious route to your destination. Every Client is treated with exceptional customer service. We are committed to providing First Class Service at reasonable prices in one of our Cleveland Airport Shuttle or Taxis.